The birth of Fisher Vineyards corresponds with the rebirth of the Napa Valley and Sonoma County as the estate was created in 1973. 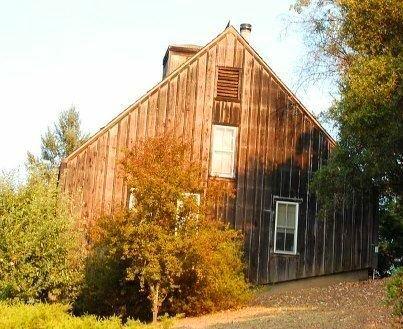 To get things started, Fred Fisher and Juelle Fisher purchased 100 acres of land high up in the Mayacamas Mountains on Spring Mountain that was being used as a cattle ranch. At the time the obtained the property, it was raw land that required to be cleared and cultivated with vines. They also needed to construct a winery on the property. The winery was completed in late 1978. In 1998, they finished creating their underground caves for aging their wines. To create the winery, they used wood from the trees on the property. The first wine from their new vineyards, took its name from the fact that the Fisher’s were marries on the property, Wedding Vineyard. Fisher Vineyards expanded their holdings just a few, short years later when they purchased 57 additional acres of vines in 1976. Those vines are located off the Silverado Trail next to the Eisele Vineyard. 1979 marked the debut vintage for Fisher Vineyards. Fisher Vineyards owns 67 acres of land in Calistoga, on the eastern side of northern Napa Valley. Their closest neighbor is Araujo Vineyards. This is the source for 3 wines all made from Bordeaux grape varieties. In 2004, Fisher Vineyards a new, early drinking, lesser priced, collection of wines called Unity. The wines are produced from various grape sources from a myriad of different growers in Napa Valley, Sonoma County and Mendocino. Fisher Vineyards is best served at 15.5 degrees Celsius, 60 degrees Fahrenheit. The cool, almost cellar temperature gives the wine more freshness and lift. Young vintages can be decanted for 1-3 hours, depending on the character of the vintage. This allows the wine to soften and open its perfume. Older vintages might need very little decanting, just enough to remove the sediment. Fisher Vineyards is best served with all types of classic meat dishes, veal, pork, beef, lamb, duck, game, roast chicken, ribs, hamburgers, barbecue, roasted, braised, grilled dishes and stews. Fisher Vineyards is also good with Asian dishes, hearty fish courses like tuna, salmon, mushrooms and pasta. The white wine of Fisher Vineyards is best served with all types of seafood and shellfish, sushi, sashimi, chicken, veal, pork and cheese. Dark in color, with lush, round textures, loads of ripe, sweet, juicy, black and blue fruits, licorice, smoke and oak. There is good body and lift. The wine is forward in style, with a concentrated, long, fruit filled finish. Dominated by light red berries and oak, this is probably going to best in its youth. Licorice, black cherries, smoke and vanilla bean aromas are hard to avoid. The wine is rich, fat and juicy on the palate, finishing with fresh, sweet, fleshy dark berries. This could improve with a year or two in the bottle. From a blend of 90% Cabernet Sauvignon, 7% Malbec and 3% Cabernet Franc, this medium/full bodied wine offers with fresh, red and black fruits, smoke, earth and spice. The wine is round, soft and already expressive. From 100% Cabernet blended from parcels located in Napa and Sonoma, this medium bodied wine offers fresh red and black fruits with cassis and spice. Already open, this round wine can be enjoyed today. I do not think age will much to the wines development. I'd drink this on the young side. Tight, tart and not very expressive, this medium bodied, Sonoma Cabernet Sauvignon wine could use more ripeness and concentration. Sweet black cherries, cigar box and earth on the nose are the best part of the experience. The wine provides a dark cocoa and blackberry, dusty textured, cherry tinged finish. I remember this wine from years ago and found it markedly better in its early years. Tobacco, earth, steel, herbs and blackberry scents create the nose. On the palate, the wine shows stewed, dark red fruits. This is probably past its prime drinking years. Medium bodied, on the bright, red, fresh cherry side of the style range, the earthy fruit has definitely faded.